You must download and complete the Belarusian visa application. It is recommended that you complete it in ALL CAPITAL LETTERS. Making sure to give detail as to your travel plans. Click here to download an example visa application (.pdf) and then complete it with your personal information, print out a copy and sign the document. You need ONE ‘passport’ quality photo (size and dimensions given on embassy website). This will be attached to your visa application. It must be taken within the last 6 months. You need a foreign travel document — original, signed passport valid for 6 months beyond stay in Belarus, with at least one blank passport page available for Belarus visa stamp. Amendment pages in the back of the passport are not suitable for Belarus visas. You need a letter from your insurance company that states you are covered in Belarus for the dates you will be in the country. It is possible to purchase travel insurance online that will meet these requirements. There are several providers and the cost is not that expensive. Here is an example from Travel Insured International. Make sure you contact them to have the letter emailed to you. It is not enough to simply show your policy coverage. You will need to print this letter and send it with your application. You need ‘visa support documents’. This will depend on the type of visa you are trying to obtain (see embassy website for types of visa). Most likely, you will be coming on a tourist visa and will need either a personal invitation (plan ahead because it must be an original copy) or you can get an invitation from a tourist agency. Here is an example of an invitation from a tourist agency. This will need to be coordinated and a copy of the invitation sent to you (via email is ok). Additional documents if asked for by embassy. A confirmation of the consular fee paid. Make sure to check for current fees as the price is subject to change. The fee may be required in cash or money order. 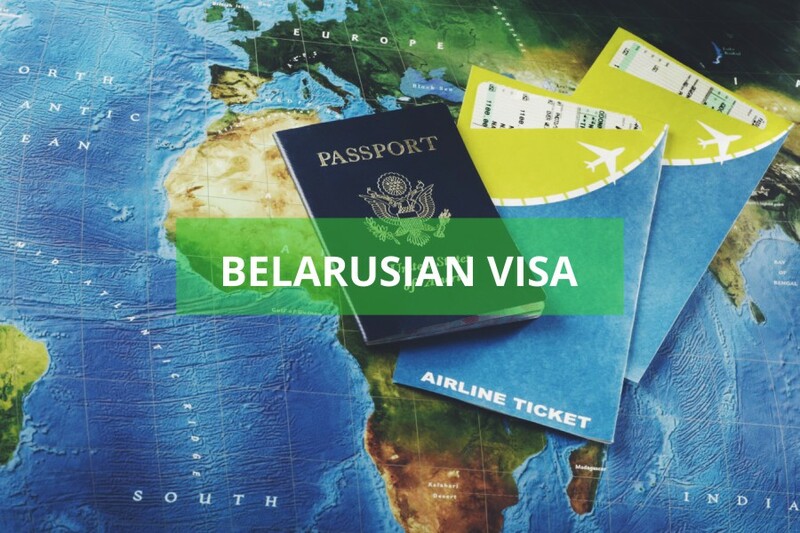 ***Special Instructions: Travelers must register passport with the local Passport and Visa Office of the Ministry of Interior within 3 business days of arrival to Belarus. If staying in a hotel, this will be arranged by the hotel services (reception bureau). *****Once you have all the documents gathered. Deliver in person or by mail to your closest Belarusian embassy. If sending my mail, make sure to enclose a return envelope that is trackable (check with your closest embassy for acceptable carriers). The processing time can vary so again, make sure to plan ahead.